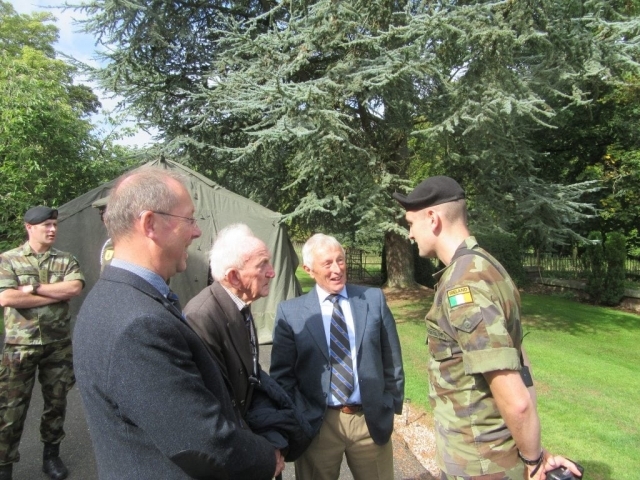 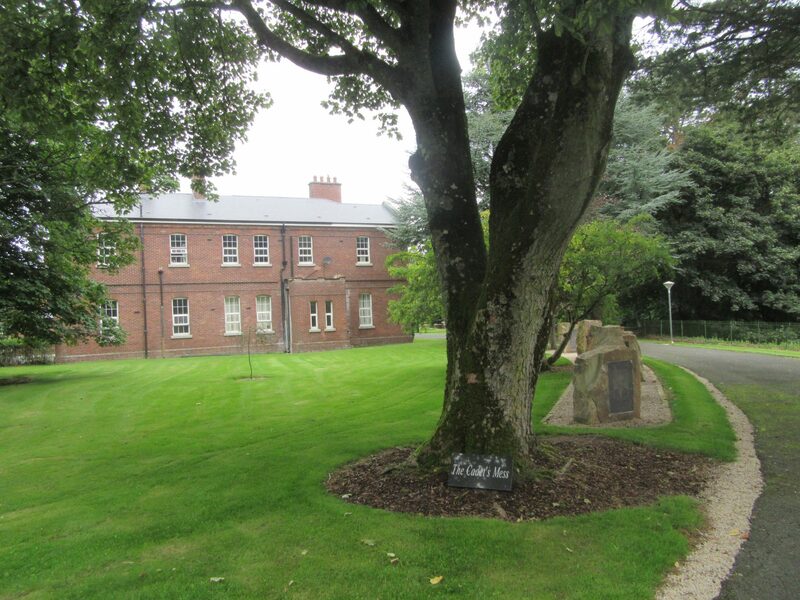 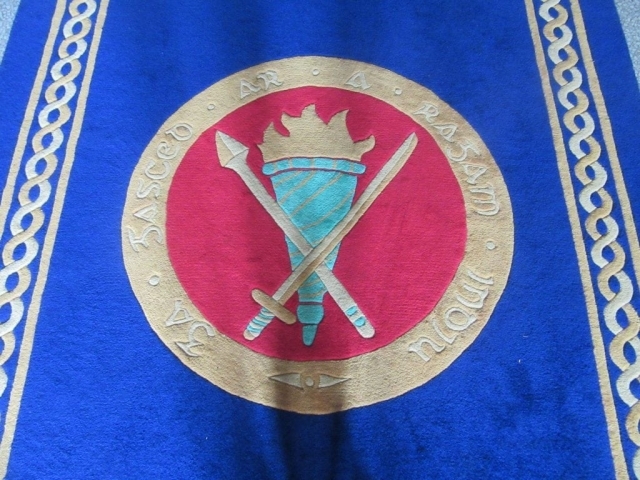 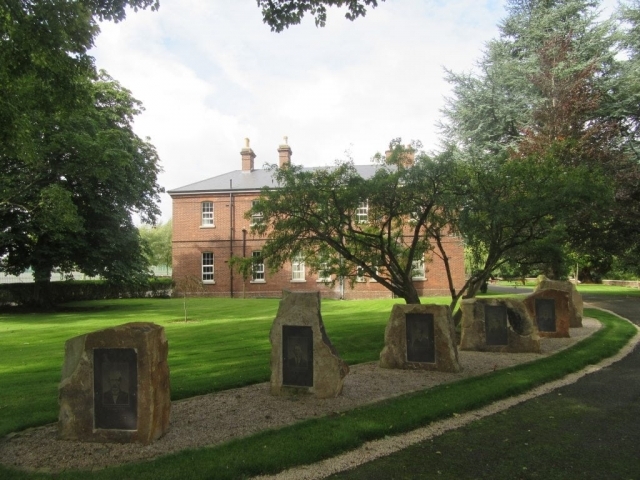 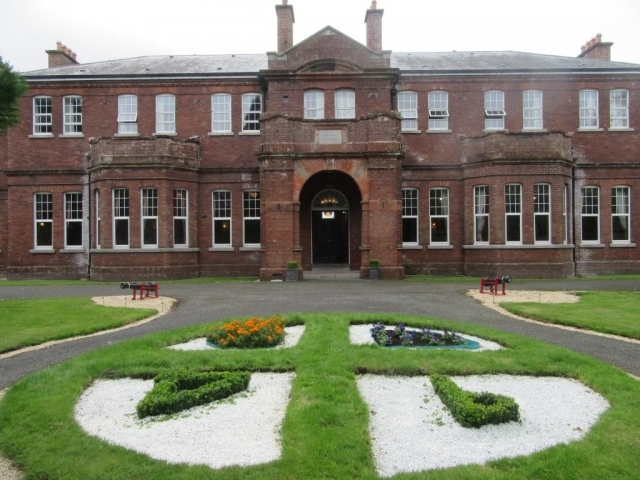 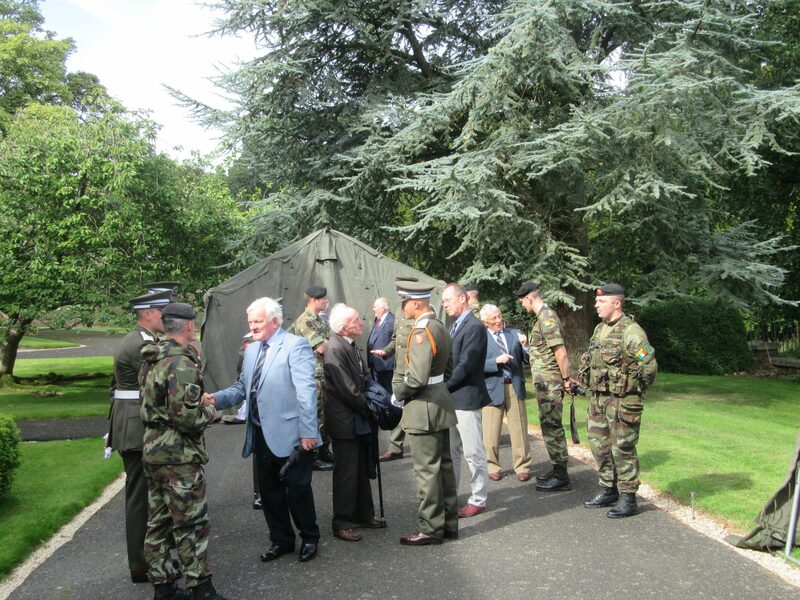 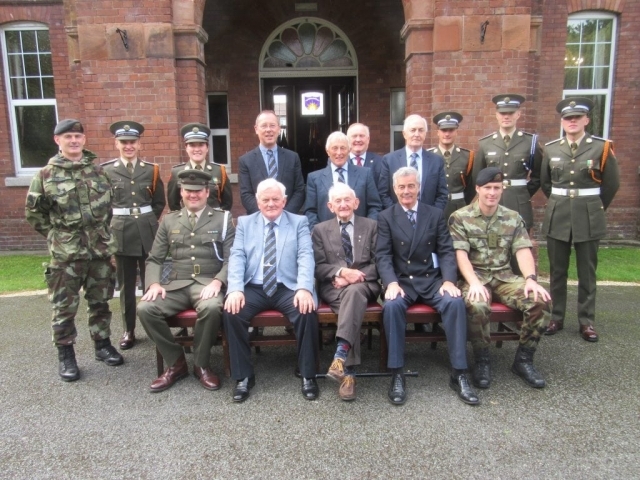 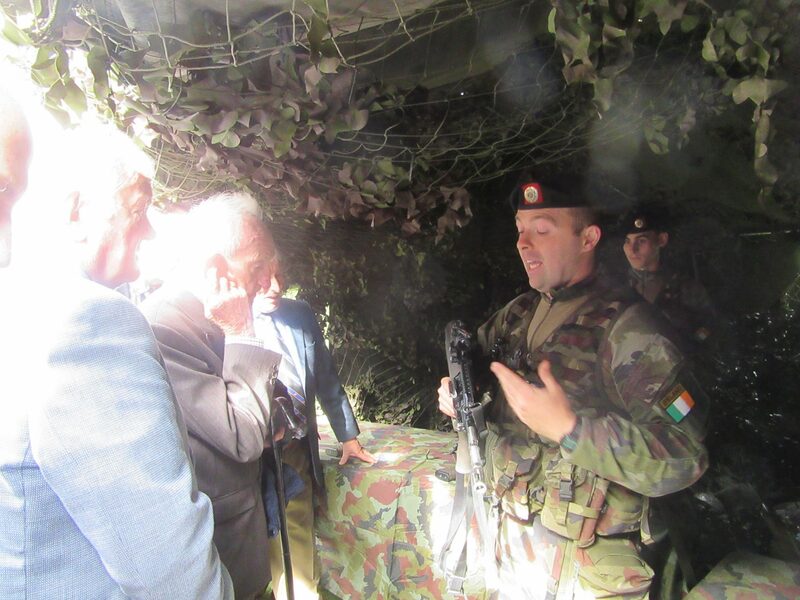 The Annual Decades’ Reunion took place on Thursday, 13 September 2018 in The Military College, Defence Forces Training Centre. 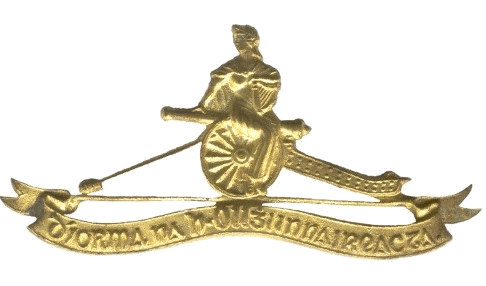 Incidentally, no Gunner Officer was commissioned in 1958 or 1988. We were honoured to have in our company Lt Col Jim Dawson (Retd), who as a member of the 20th Cadet Class, was commissioned, 70 years ago, in September 1948. 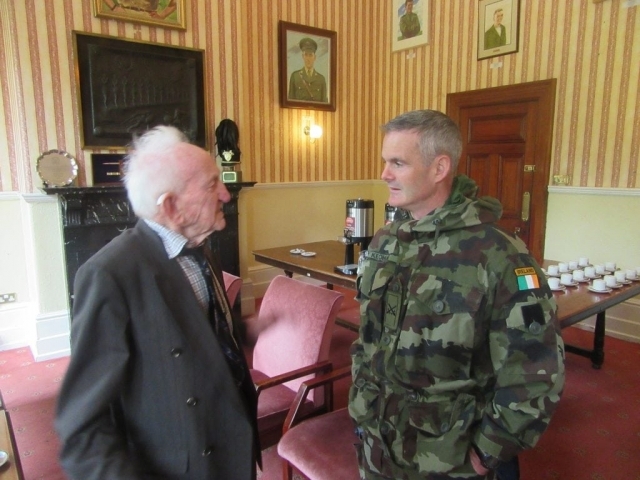 He was born three years after the establishment of the Artillery Corps, in Callan, County Kilkenny, on 12th April 1926, On commissioning, he was appointed to the Artillery Corps, completed his YO’s course, and was posted to the 2 Fd Arty Regt. 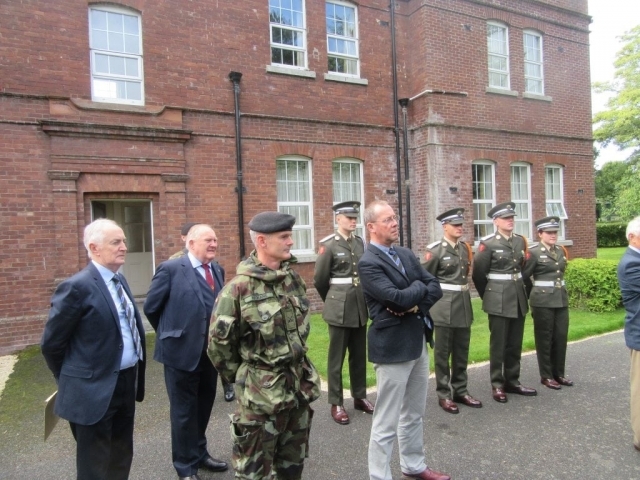 Following service with the 1 Fd Arty Regt, he was posted to Spike Island where he developed his renowned and legendary expertise in the art and science of Coast Defence Artillery. 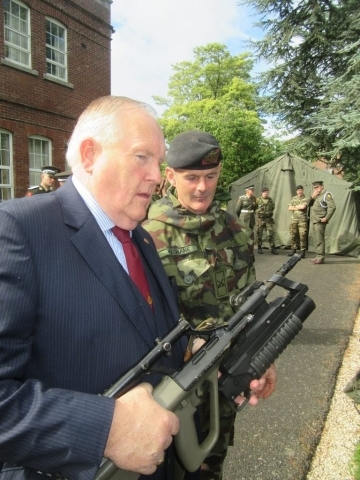 Retiring in 1986, his overseas service was with the 1 Infantry Group in the Congo, and with the Force Headquarters in Cyprus. 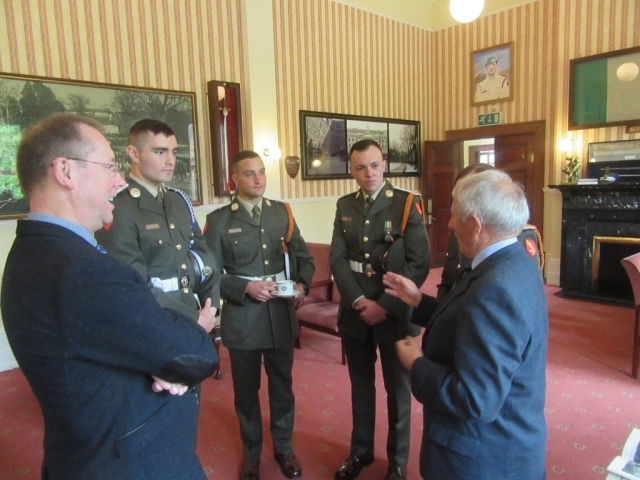 On arrival in the Cadets’ Mess, the Group was received by the Mess President Cadet Shay Byrne and members of the 94 Cadet Class, including the Cadet Captain Cadet Conor Heffernan Cadet Dylan Caruana from Malta, and the class photographer Cadet Ivan MacDonald. 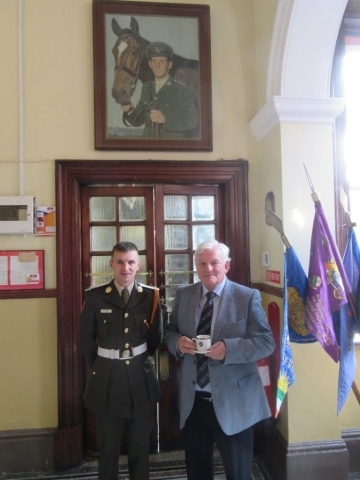 During Coffee, participants were able to view memorabilia from their cadetship and visit the mess facilities. 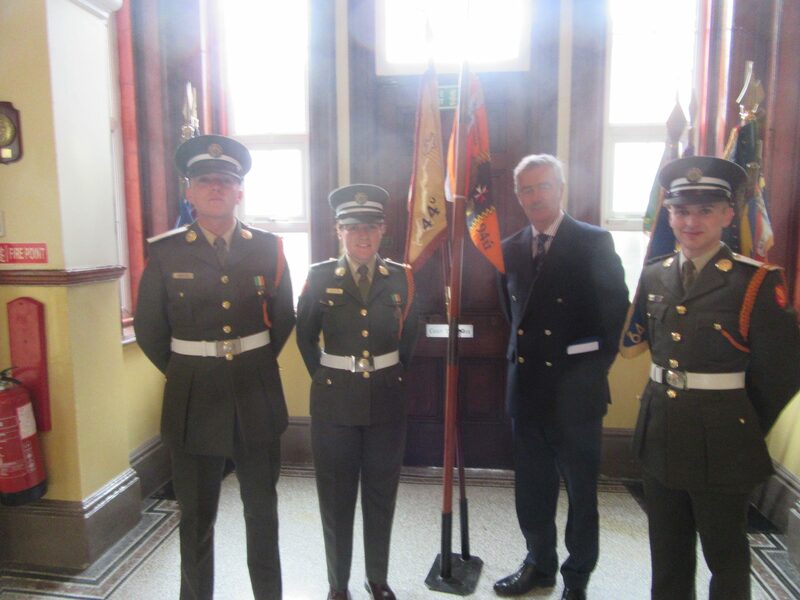 Thereafter, Cadet Tristan Fogerty and Cadet Cormas Nellis displayed current equipment on issue to Cadets. 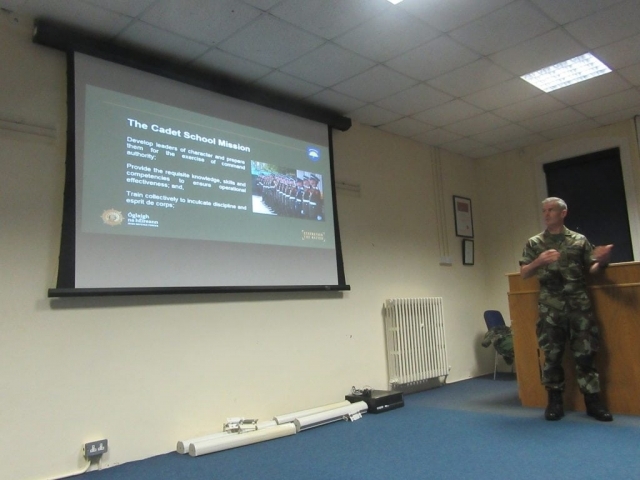 During a comprehensive briefing,Commandant Cathal Keohane, 2 i/c of the Cadet School provided an insight into key areas pertaining to cadet induction and training. 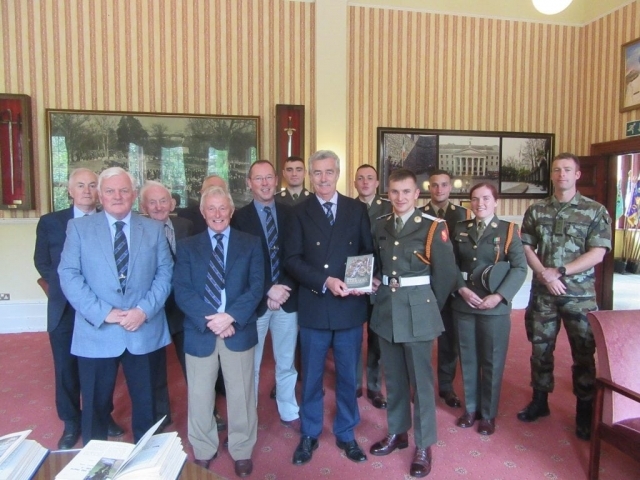 Finally, the Group adjourned to the Officers’ Mess for a most enjoyable lunch. 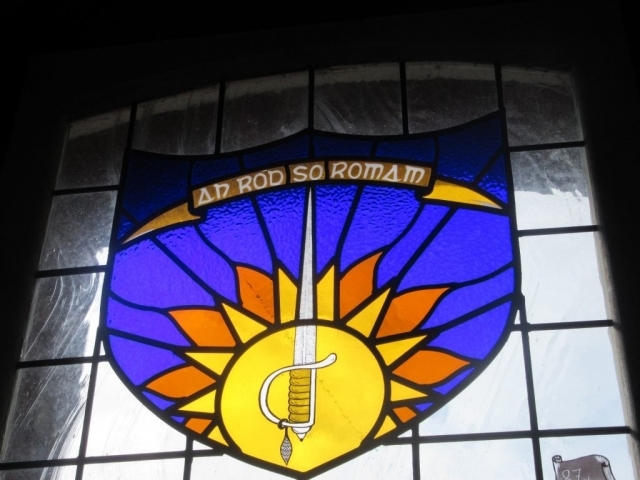 To view screen show click on any photograph.